Is This The Slab at Main & Auction In Memphis That Slaves Were Stood Upon To Be Sold? Home Memphis Travel Is This The Slab at Main & Auction In Memphis That Slaves Were Stood Upon To Be Sold? 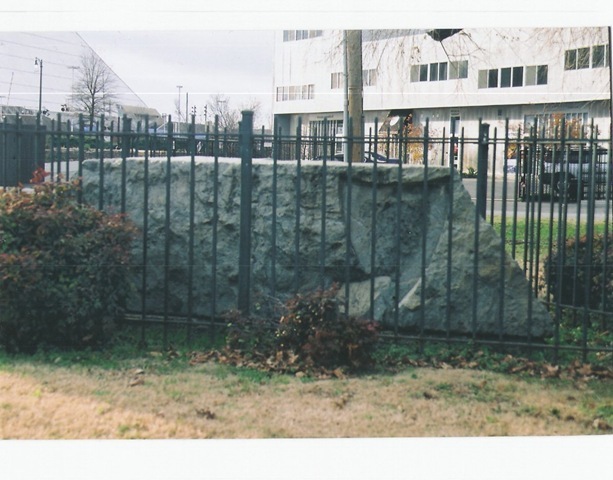 If this slab of rock in Memphis, TN could speak, it may or may not have horrible stories to tell of the men and women that are said to have stood upon the alleged slave auction block to be sold into slavery. There are good stories and bad stories, good history and unfortunately bad history in probably just about every city in America – including Memphis, TN. Though Memphis is known for its history of great music, great food, live entertainment, festivals and hospitality, there are also tales, dark tales which one includes a slab of rock located at Main and Auction in Downtown Memphis, TN. Blogger Chandra Kamaria of Southern Eccentrik details a picture taken showing the slab which she writes about on her blog as being a part of the original auction block used in slave auctions. At some point, starting around the mid-1800’s, Memphis was known to have become a major slave market at a time of forced labor supporting the huge cotton economy. Still, a write-up on the Memphis Flyer by John Branston, who enlisted the help of Jimmy Ogle, the Chairman of the Shelby County Historical Commission, mentions this granite block of slab at Main and Auction Ave on his list of Memphis myths. According to Branston’s write-up, Auction Ave does have a “granite marker,” but he claims it wasn’t placed their until 1924 by the Colonial Dames. Myth or not, we guess only the rock knows the truth. 1. Memphis was founded in 1819 by three original investors: John Overton, James Winchester and Andrew Jackson (yes, the 7th U.S. President). 2. 1826 Memphis became incorporated. 3. 1830 the Indian Removal Act passed during the presidency of President Andrew Jackson which allowed him to relocate Native American tribes of the Mississippi River in exchange for their homelands. 4. 1925 Tom Lee, a black man, changed race relations when he saved 32 white people in the Mississippi River.